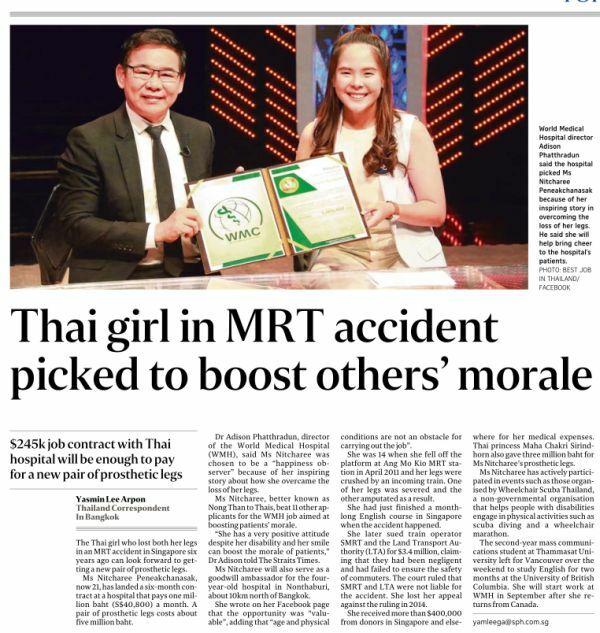 Blogging for Myself: Nitcharee is "back"
I first blogged about Nitcharee in 2011 and stopped following and writing about it after her family sued SMRT over the accident. Now she is back in our papers. Then to raise $400K was a miracle. Today you will see quite a few crossing that amount at GiveAsia. We have become richer or more philanthropic. Maybe both.